Stanborough Road – Plymstock, Devon. 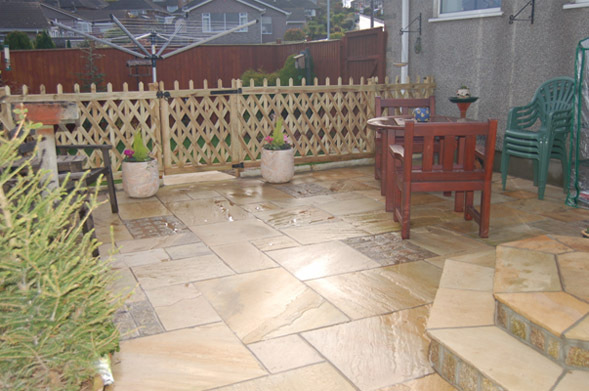 This is a split level patio we constructed using a yellow Indian sandstone. 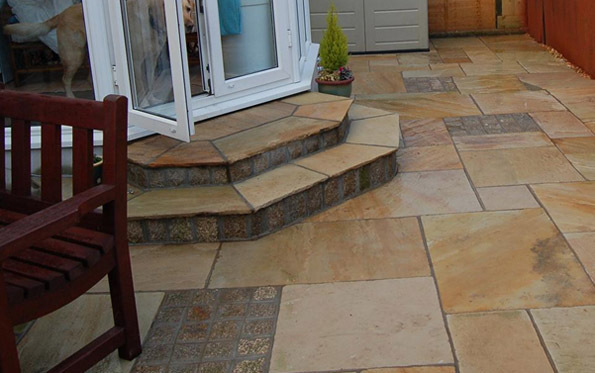 The sandstone comes from the Rajasthan region of India, for centuries it has been quarried there and been used extensively not only in India, but all over the world. Rajasthan has ninety per cent of India’s sandstone deposits, and even today it is thought that Rajasthan has over 900 million tons of sandstone in its reserves. 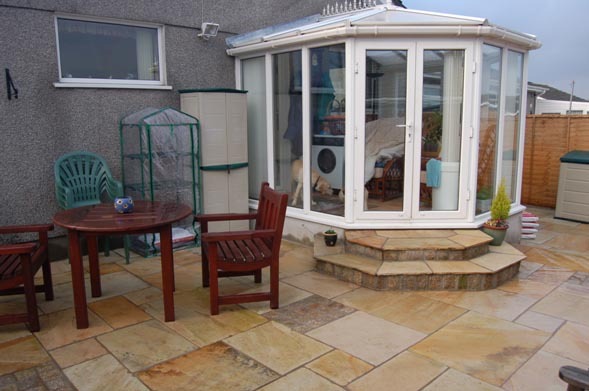 A couple of steps were built to lead up into the conservatory. 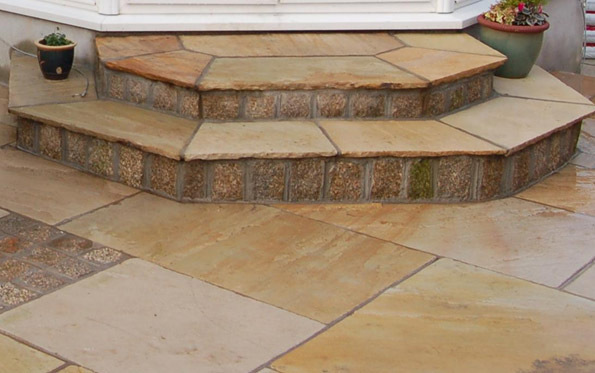 These were hexagonal in design and for this we used a brown granite imported from Portugal and then topped off with the sandstone. The paving is laid in a random pattern and we also used the granite to infill sections of paving to create a contrast.